Twins, incredible musicians, extraordinary pop group, a number 1 hit in the 60’s, 70’s and 80’s – the soundtrack to our youth. 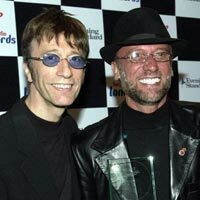 Robin Gibb passed over recently at the age of 63 and his twin brother Maurice died in 2003. What was the SolePlan that they wrote? What was it about being a twin that they wanted to experience? Are twins soul mates, what kind of SolePaths do they choose – are their SolePaths linked in any way? How did this play out in their incredible music and creativity? How did this impact their personal lives.